It's election day! Polls in Michigan are open from 7 am until 8 pm. The Secretary of State, and County Clerk's Office both have good resources for voters. 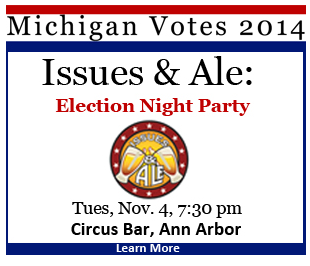 Michigan Radio is hosting a special Issues and Ale at the Circus tonight from 7:30 - 10:00 to view results as they come in.